Welcome to my ClickBank University Review 2019! ClickBank (CB) is one of the biggest marketplaces for digital products. Online affiliate marketers know well about the CB and its products. 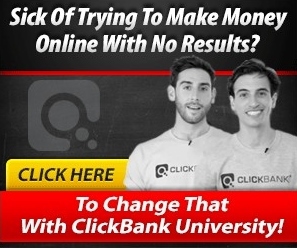 ClickBank launched a program known as ClickBank University (CBU) in the early year of 2014, and it was created by two young professionals named Justin Allen and Adam Horitz. It is training program where you learn how to become an affiliate marketer and earn money using CB. They will also teach you how to create and sell your own digital product and become a successful Vendor. Although training provided here are entirely focused on ClickBank, you can also implement this in other affiliate programs. For people who want to earn full or part time money online. Individuals who like to work as an affiliate marketer and want to be successful as Affiliates on ClickBank. People who love to create their own digital products. How to make money from selling ClickBank products? CBU focus on how to create and market your own product. We generally become affiliates of Vendors but in CBU, you will learn how to get affiliates that will sell your product. How to build your website and create sales pages for your product? Training on Website Building, Search Engine Optimization (SEO), Pay Per Click (PPC), Email Marketing, Joint Ventures and others. Orientation: In his area you are encouraged to complete your profile and receive guidance from Adam Horwitz, Justin Atlan. This can later be used in website building. Site Builder: (Upsell = $297/ Year) If you wanted to create your own product then this page is for you. It will help you how to build sales, upsells, JV and other pages. This section will guide you in the form of step by step training on how to setup your products. Beginners: Step by step video training that will explain how to create your product. 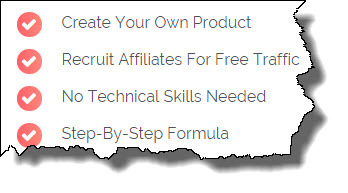 It includes training; your first product, your product packaging, sales pages plus upsells, methods in which you convert visitors into buyers, product pricing plus funnels, how to build an email list, getting approved and leveraging JV partners. Advanced: (Upsell = $97 one time) Like the name says, this is a more advanced training that focuses on; how to convert visitors into subscribers, strategies for advanced selling, spit testing plus conversions, a joint venture (JV) traffic, social media, paid advertising and search engine optimization. Affiliate Marketing: In this area you will learn how to become a successful Affiliate Marketer and make commissions by promoting other people’s products. This section includes the following modules; how to build a squeeze page, how to build an email list, managing your list and driving targeted traffic to your site. University Talks: In this area you will be able to join weekly live video classes and learn some tips from a few of CB’s top sellers and what methods they are currently using to achieve such sort of success. Community: Like other programs, CBU also has member’s community where members interact with each other. You can ask questions and hopefully get answered within short time. I am a big fan of product creation, and there are a lot of high-quality videos training on that topic. Good training for list building, how to manage your list, SEO, both free and paid methods to bring traffic to your site. Offers a $300 discount if you buy into the year membership. Very active Facebook page and Justin and Adam are also very active in the page. ClickBank offers a standard 60-day money back guarantee on all products. Live weekly webinars with various industry experts. No free trial period offered. They initially offered $1 for seven days with some access to introductory training, but now it is no more available. It is highly overpriced. There are other programs offer better training than this program and even with low price. A lot of upsells. I always considered this as a bad marketing strategy. The community is very limited, and many questions go unanswered. Lack of advanced affiliate marketing and SEO training. $47 billed monthly or $546 per year. Yes. You will not access to each and everything CBU offers even by paying $47 per month. Unfortunately, you have to spend more money. Upsell 1 – $297 per Year – Website builder from ClickBank. If you’re going to build your own digital product, then you will need to buy this upsell. Upsell 2 – $97 Onetime payment – The Advanced master class. 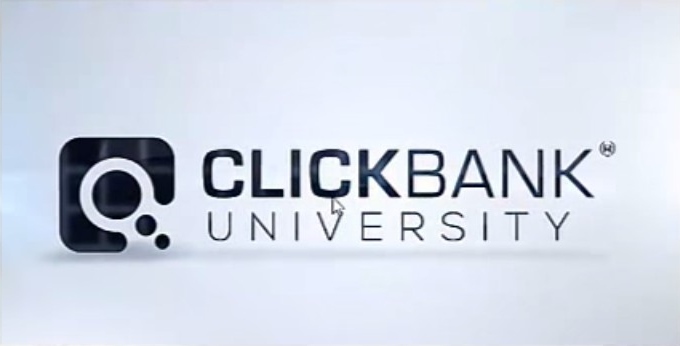 In short, ClickBank University is an excellent learning platform where you learn a lot of knowledge. Most of the people are joining this program because of the creation of their own digital products. I think if you want to create your own digital product, then CBU is one of the better option available in today’s market. But due to excessive cost, it is out of reach of most of the people. Let’s see if you are paying yearly $564 membership then you will have to pay extra $297 for this site builder course because it helps you build a website for your own product that integrates with Clickbank to make selling this product easier. This will cost you $861/ year. If you wanted to access further advance training, it would also cost you $97. So this becomes an extremely costly package. If you can afford it then this is a worthy investment. A free trial is available with access to full ten beginner lessons and hundreds of training modules. You can join easily and check whether you like it or not. Become premium only when you like it. A community of generous, friendly people, including live chat support. It only cost you $47 per month with a 59% discount for your first month if you become premium within seven days. No hidden charges and upsells. Access to full training, no locked training videos. You can learn at your own pace. Support from owners Kyle & Carlson plus personal support from me is available at Wealthy Affiliate. I hope you will like my ClickBank University Review and if you have been part of this program then please share your experience with my viewers in the below comment section. This is a very nice review with an honest touch, which is missing in a lot of review I read especially about making money online. I especially valued the information regarding the up selling to expect and the cons of the service. Thanks Chris for your comment and appreciation. I always tried to show the actual picture to my visitors. You are right upsells and service are two major things that need to be considered before joining. I have recently stumbled upon this ClickBank University and found something odd. It says only $47, but in reality it’s monthly payment. Thanks to your review, now I know there are few upsells there. A typical guru’s move. I prefer Wealthy Affiliate with its FREE account and genuine support without any hidden upsell. Thanks edy for commenting here. Yes you are right you have to pay monthly fee. But this is not enough you have to further pay upsells in order to access to full training. Wealthy Affiliate support is definitely incomparable. I am an affiliate to clickBank, but find it cumbersome. I guess I just waven’t given it nuch time. I really shoud spend a day getting to know it better. Thanks for your review. Thanks Debra for providing your useful feedback and information. It is good in product creation but if you learn complete affiliate marketing than Wealthy Affiliate is the best place to work on.